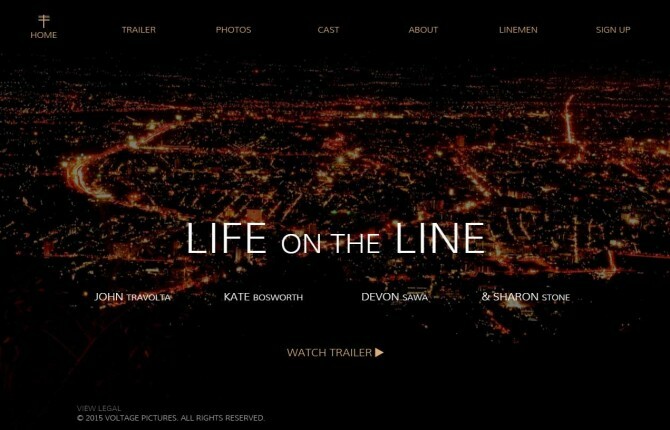 We have just created a new website for the film, Life on the Line. The website features beautiful high quality images and video from the movie that showcase the film’s content, cast, and trailer. The website is custom from the design to the code, and includes a mobile version for mobile devices. The about section features separate sections with a parallax scrolling effect. With some custom functionality, upon clicks of the different members of the cast, their photo will light up and the description will change. The photo gallery takes advantage of the high-res quality images and uses the photos to fill the entire page. Unique Web Development © 2019. All Rights Reserved.